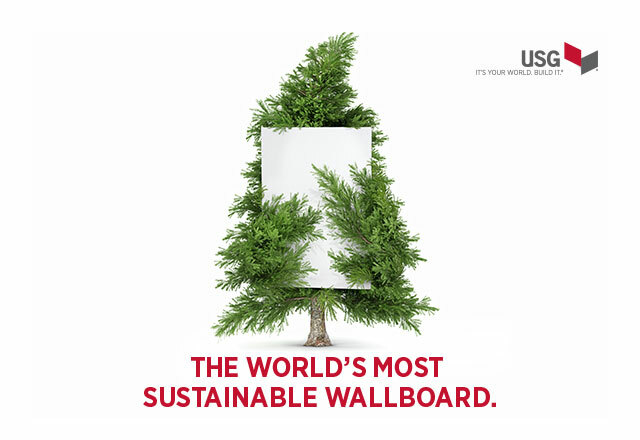 USG, recognizing the need for more sustainable building products, launched the first wallboard to meet the Architecture 2030 Challenge for Products – USG Sheetrock® Brand EcoSmart Panels. Made with up to 25% less water and up to 20% less CO2 emissions during manufacturing, the world’s lightest wallboard is a product even the environment can get behind. The DesignStudio can help you through any project at any phase. Visit the USG DesignStudio for architectural standards, specifications, details, LEED® report tools and more! At USG, our mission is to support men and women around the globe as they work to achieve their visions. And, now we are proud to sponsor the U.S. Olympic and Paralympic athletes and hopefuls as they pursue their own dreams, and inspire us all.